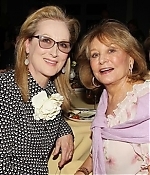 On Monday, Meryl Streep unveiled Stephen Frears’ charming “Florence Foster Jenkins” in New York’s Director’s Guild Theater for an A list crowd including Renee Fleming (who introduced the film), Christine Baranski, Bill Irwin and Barbara Walters. Tony winning costume designer William Ivey Long – who’s also the head of the American Theater Wing – did a little Q&A on stage after the screening. 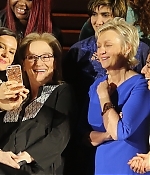 Streep and Long met at Yale Drama School in 1972, so they had an easy rapport. 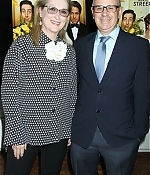 Pictures from the screening and Q&A have been added to the photo gallery. 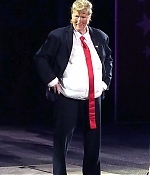 Sit back and have a good laugh at this: At the moment that Hillary Clinton was all but clinching the Democratic nomination for president, Meryl Streep was on a stage in Central Park, impersonating Donald Trump. 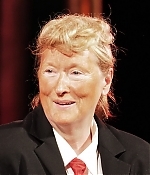 In orange face makeup and pompadoured hair, Ms. Streep, the chameleonic three-time Oscar winner, did a more than credible version of the presumptive Republican nominee, down to the pursed lips and low-hanging belly. 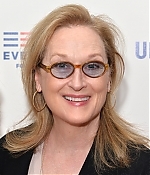 She got the braggadocio-inflected voice, too, even while singing. 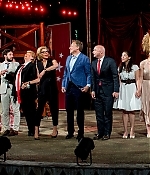 Ms. Streep was part of the Public Theater’s gala benefit celebration on Monday night, a tribute to Shakespeare at the Delacorte Theater, home to Shakespeare in the Park. 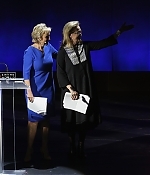 She was the closing act with Christine Baranski, doing “Brush Up Your Shakespeare,” a number from the Cole Porter musical “Kiss Me, Kate.” “We could do a deal – you’ll let me know – why it is all the women say no?” she sang, stretching out her arms in a Trumpian gesture. 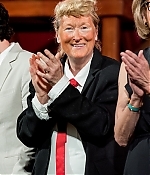 Later she strolled the stage, gesticulating to the audience in Mr. Trump’s signature Make-America-Great-Again style. More information courtesy The New York Times. 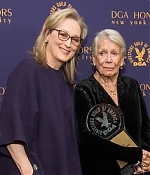 The Public Theater has announced that its annual gala, The United States of Shakespeare, will take place June 6 at the Delacorte Theater, featuring a host of famous stars including Meryl Streep, Phylicia Rashad, Christine Baranski, Jimmy Smits, Michael Cerveris, Steven Pasquale and more. 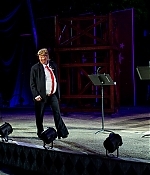 Directed by Jeremy McCarter, the gala will include scenes from Shakespeare’s most celebrated works and the poems, songs and stories they inspired, performed by actors of the stage and screen, and musicians. 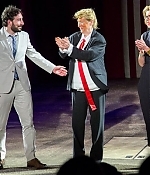 The complete line-up for The United States of Shakespeare features F. Murray Abraham, Sarah Amengual, Lemon Andersen, Kate Burton, Michael Friedman, Bill Irwin, Lisa Kron, Hamish Linklater, Suzan-Lori Parks, Martha Plimpton, Lily Rabe, Jay O. Sanders, Ruben Santiago-Hudson, Jeanine Tesori, and John Douglas Thompson; and The Public’s Shakespeare scholar in residence Jim Shapiro, with musical direction by Chris Fenwick. More casting to be announced at a later date. Tickets to the one-night only event are available by by calling (212) 539-8634, online at publictheater.org/gala2016 or via email at gala@publictheater.org. 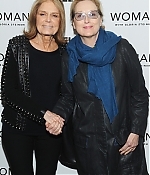 Last night, Meryl Streep was among the celebrity guests at the New York premiere screening of Gloria Steinem’s “Woman”, which begins airing on the Viceland channel on May 10 and focuses on a variety of issues from sexual violence in the Democratic Republic of Congo to unacknowledged murdered and missing women in Canada, femicide in El Salvador, and the incarceration of mothers in America. 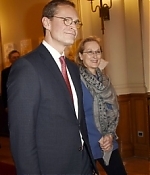 A couple of pictures from the arrivals have been added to the photo gallery. 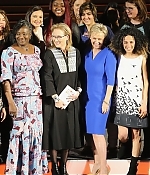 Meryl has been a steady visitor to Tina Brown’s Women in the World Summit ever since its inauguration and 2016 marks no difference. 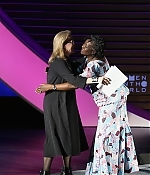 Today, she has taken the stage to talk about how far women have come in history and why they will no longer be marginalized. 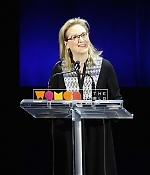 A first excerpt of her speech can be found on Youtube. Pictures have been added to the photo gallery with more information to come. 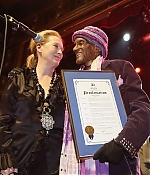 Last night, New York City’s Webster Hall hosted an all-star fundraiser for legendary keyboardist Bernie Worrell, who is battling cancer. 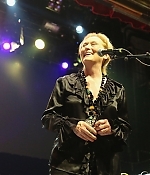 The “All The Woo In The World” show featured over four hours of funk. 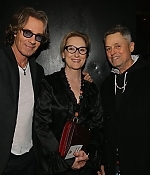 Worrell himself was on hand as was famed actress Meryl Streep and director Jonathan Demme. Pictures from the benefit have been added to the photo gallery. 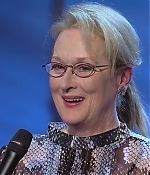 Next week will bring us the British promotion for “Florence Foster Jenkins”, for which Meryl will be a guest on The Graham Norton Show (airing next Friday, April 15). 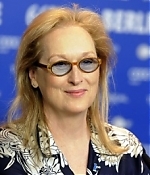 Meryl Streep and her Berlin jury have picked the winners of the 66th annual film fest’s Gold and Silver Bears. The most politically-charged Berlin Film Festival of recent years comes to a head tonight with the awards ceremony for the winners of the Gold and Silver Bears. 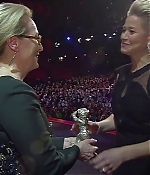 Meryl Streep said of the Golden Bear-winning film “Fire at Sea” from Gianfranco Rosi: “This is a film that commands our attention and demands action. It is a documentary on the refugee crisis, looking at the island of Lampadusa In Italy where thousands of refugees have flooded into Europe.” The first batch of pictures from the closing ceremony have been added to the photo gallery. 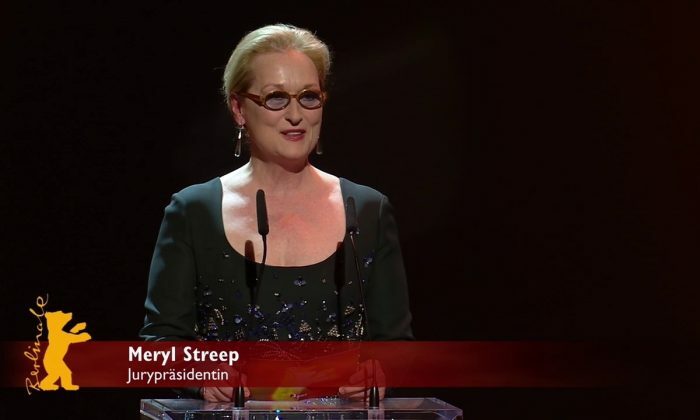 Edit: A video from the closing ceremony, including Meryl’s interview and the presentation of the Best Actress and Best Film awards has been added, alongside screencaptures from the show. Enjoy. Today, hundreds of new pictures and a bunch of video clips have been added to the archives. 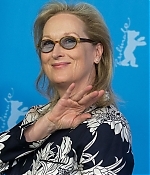 In the video archive you’ll find the press conference and opening ceremony for the 66th Berlin Film Festival, various German tv reports with interviews and profiles on Meryl. Also, an interview excerpt of PBS’ recent Mike Nichols documentary has been added as well. 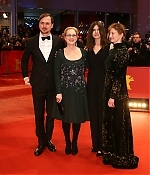 Then, there are new pictures for all the recent Berlinale appearances, including screencaptures for the above mentioned. To launch all last added pictures, click any of the previews below.